Michael Goodman has been responsible for annual advertising budgets ranging from just a few thousand dollars to tens—even hundreds—of millions of dollars, in consumer, B2B, services, information, entertainment and not-for-profit situations—and a few non-traditional applications as well. He's learned advertising from recognized masters of the craft, and stumbled across some truths on his own. In this seminar, Michael will share the conclusions he's drawn from all those experiences, focusing on how they apply to small and start-up businesses. He'll discuss the critical success factors in advertising, what works and what doesn't, when to use certain approaches and when to avoid them, and how to maximize the effectiveness and efficiency of any size advertising budget. Michael will cover the creative considerations, media alternatives, budget issues and questions that come up most frequently from small business clients, especially those whose growth ambitions outstrip their budgets. This seminar will address the questions that face every small business when it comes to advertising: How do we increase visibility and purchase interest? 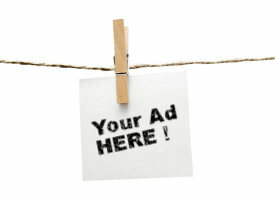 What are the advertising options for a small business? How do we know it will work? How do we know if we're getting our money's worth? "It provides some great insight on creative briefs and good resources to which you may refer after the seminar - such as Seth Godin books and others." "As a B2B Marketer, I would highly recommend this seminar as I walked away from it with over 10 actionable next steps I want to implement in our Marketing Plan." "Micheal breaks the myths of small business owners who think advertising is only for the big players of the industry. The seminar is an eye opener if you run or market a small business." "If you are looking on a primer for advertising for a small business, this is a good course to take." "The Q&A section was extremely helpful - it's great to hear examples and have Michael chat with marketing professionals on a real-time basis."